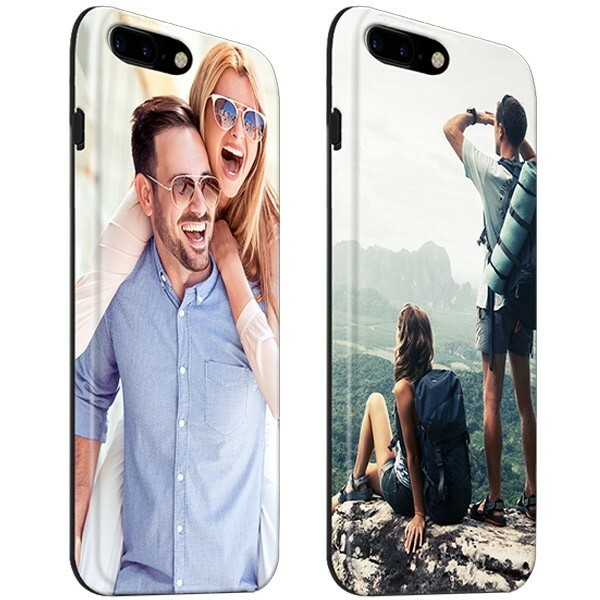 Design a custom iPhone 8 Plus case. Your own photo on the entire phone case. The best protection for your smartphone. The more, the merrier! With a custom tough case, the iPhone 8 Plus is fully equipped with the best protection. The rubber inlay is flexible and absorbs all shocks and impacts. As an extra reinforcement against damages, the second part of the case consists of very sturdy plastics with openings for the camera and device buttons. 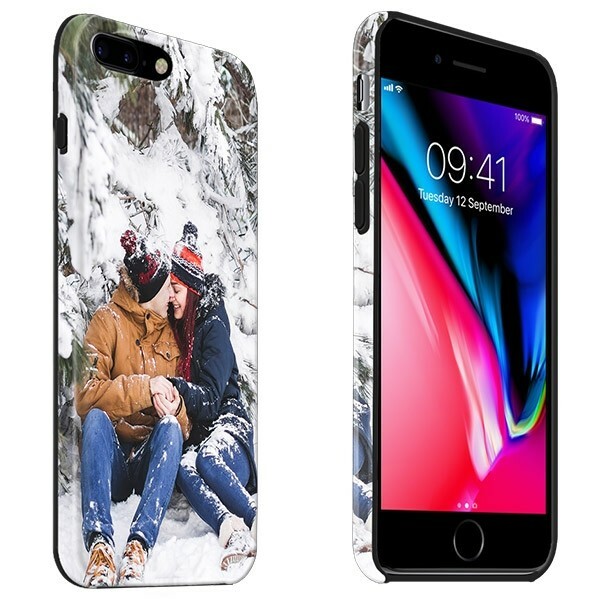 The custom iPhone 8 Plus case ensures that these two elements connect seamlessly to your iPhone and with the possibility to have your own photo or image printed on the case, for the most beautiful effect. 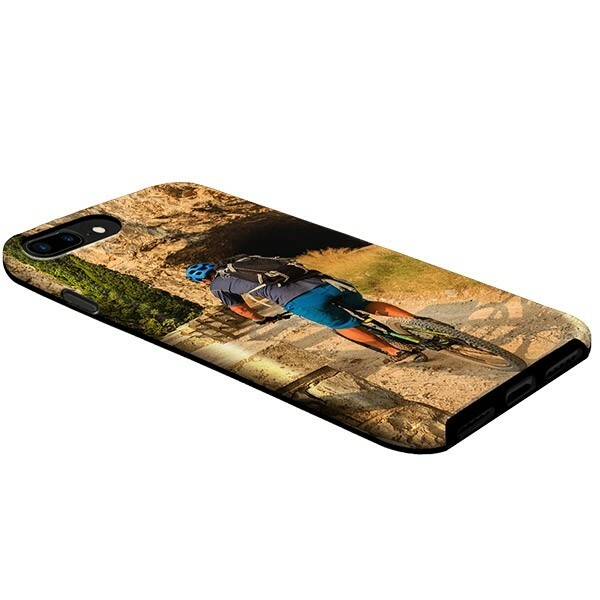 Click on 'Design now' above to create your own custom iPhone 8 Plus case. On our customizer section, you have several options to personalize your phone case. For example, upload your own photo from Facebook, Instagram or the hard disk of your laptop or computer. You don't have a nice photo or enough inspiration? Then you can also choose from one of our cheerful designs. To complete the design you can also choose to add text. Think for example of an inspiring quote or an important date. Are you done with your custom iPhone 8 Plus case? Then you can order it! Making a custom iPhone 8 Plus case is fun, of course. Therefore, you want the result to look good! With us, you certainly do not have to worry about the quality of our printed matter. All covers are printed by us with a high-quality ink. In this way, we ensure that your design will really look the way you want it. Then, we want you to receive your case as soon as possible! Order your new custom case now to quickly enjoy a nice and reliable protection.